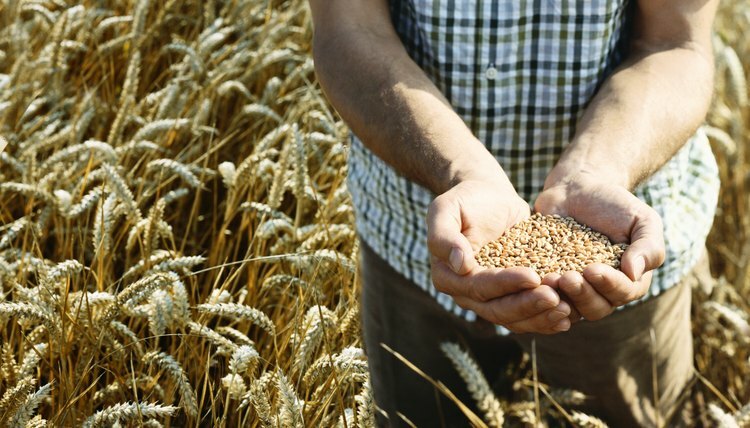 The first step in the process of sifting wheat is to loosen the chaff from the edible grain, which is called threshing. 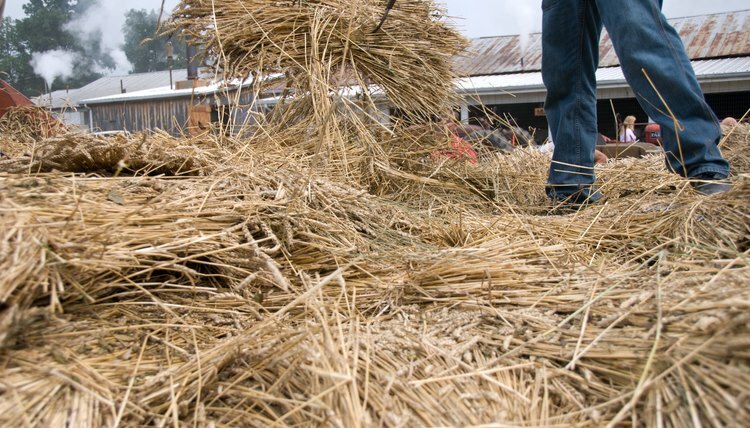 The old-fashioned way to do this is to spread the wheat onto a floor made from stone, concrete or tamped earth and to beat it with a flail. This is no longer done in the developed world. But in some places where machines are expensive and human labor is cheap, manual threshing is still common. The next step is called winnowing, where the loosened chaff is removed from the grain. The old-fashioned way of doing this is to throw the grain in the air, where the lighter chaff is blown off by even a decent breeze. The heavier grain falls back to the ground below. In the developed world, threshing and winnowing are performed by a machine called a combine. Combines perform multiple farm tasks in one process -- in this case, harvesting and threshing. These machines are among the great workhorses of industrialized agriculture, allowing one man to do the work formerly done by many. The combine goes through the fields, cutting and scooping the wheat into a machine that separates it from the stalk and then from the husk. The grain is fed into a group of horizontal cylinders called rasp bars, which guide the grain upwards through grates and sieves, combining threshing and winnowing into one short process. The finished grain is then dumped into a trailer or truck. Thomas, Edwin. "How Do Farmers Sift Wheat?" 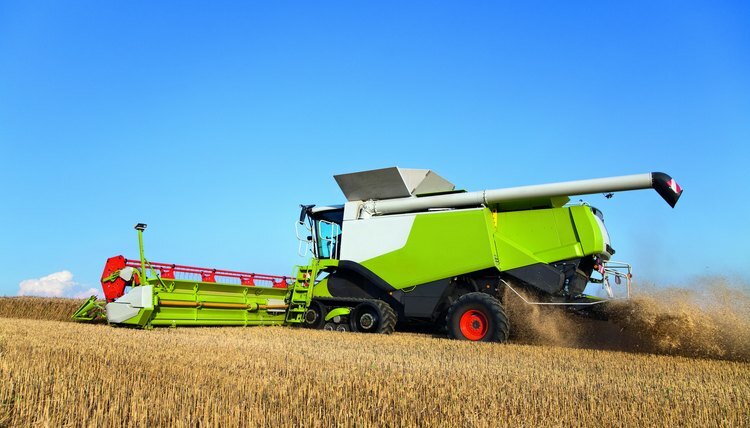 , https://careertrend.com/how-does-4925686-farmers-sift-wheat.html. 30 December 2018.